The perfect combination of a strong point and smooth laydown, with a texture that has the covering power of wax but glides like an oil. 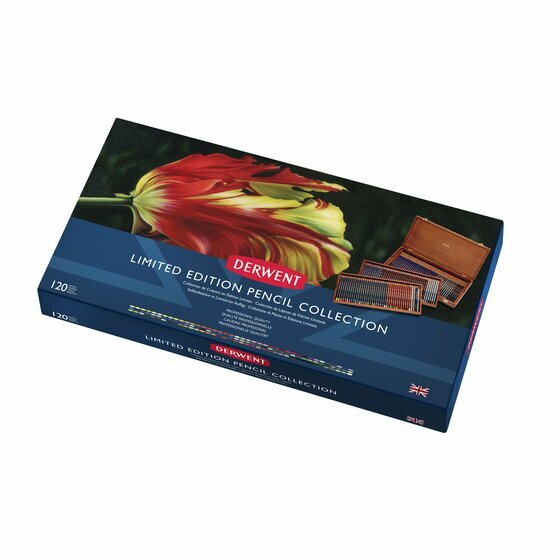 A large wooden box filled with a wide variety of Derwent Pencils including the new Procolour Colour Pencil range. The perfect combination of a strong point and smooth laydown, with a texture that has the covering power of wax but glides like an oil. 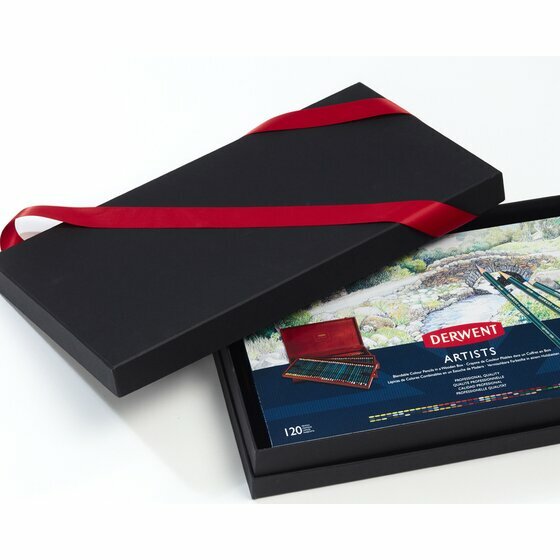 A large wooden box filled with a wide variety of Derwent Pencils including the new Procolour Colour Pencil range. Ideal gift item for all art enthusiasts. Contains 120 pencils: 24 Procolour, 24 Coloursoft, 24 Inktense, 10 Watercolour, 12 Graphitint, 12 Drawing, 6 Metallic, 4 Graphic Sketching, 1 Graphitone ,1 Watersoluble Sketching, 1 Blender and 1 Burnisher.